"my job involves teaching on the command, leadership and management courses for highly ranked soldiers"
To be the best, our people need excellent training. Educational & Training Services (ETS) Officers teach soldiers and officers valuable skills, ranging from coaching and cultural awareness to international relations. It’s a chance to help people achieve their potential and really see them progress. You’ll learn and advance yourself, taking qualifications right up to postgraduate level – all funded by us. You start by completing a PGCE and teaching a variety of subjects. Later, you can become an education consultant and develop training for the Army. You can be posted anywhere, gain transferable skills and build an incredible career. Develop future commanders. Unlock their leadership potential. Get real responsibility from day one. Study for fully-funded PGCE, PGDIP and MSc programmes. Enjoy posting opportunities throughout the UK and abroad. Then it’s onto the ETS Branch Training course in Winchester for 10 weeks. At this point, you start your part-time PGCE course and practice giving lessons. Once you’ve completed your PGCE (over two years), you‘ll start the MSc programme. You’ll aim to finish this within the next five years. You can also take a Certificate in English Language Teaching to Adults (CELTA) course and apply for language training. As an ETS Officer you have the opportunity to apply for any all-arms course including All Arms Pre Parachute Selection (P-Company). First, you become an Officer over 44 weeks. 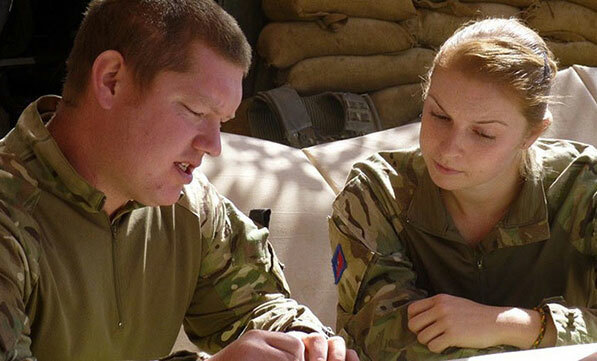 All Army training will fit around your day job – and comes with pay and bonuses.